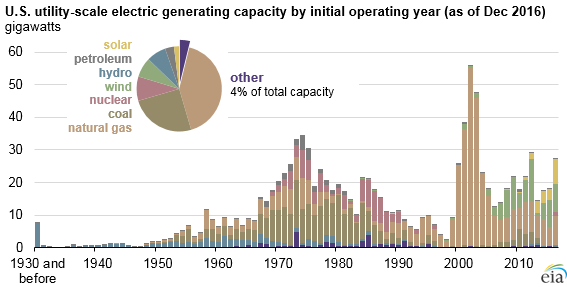 Batteries and flywheels, which provide electricity storage, are among the newest operating units, as almost all of these generators have been added since 2010. 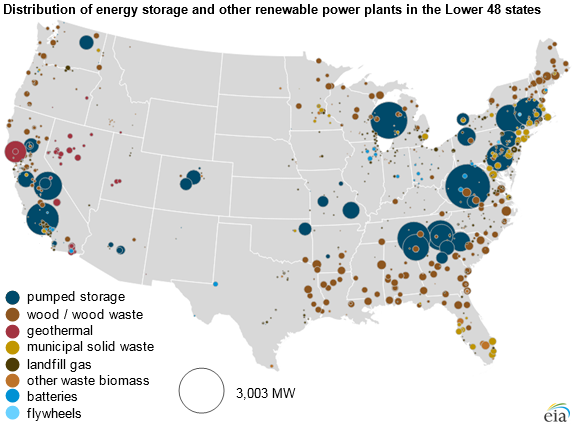 Half of the United States’ 540 MW of batteries are in California, Illinois, and West Virginia. 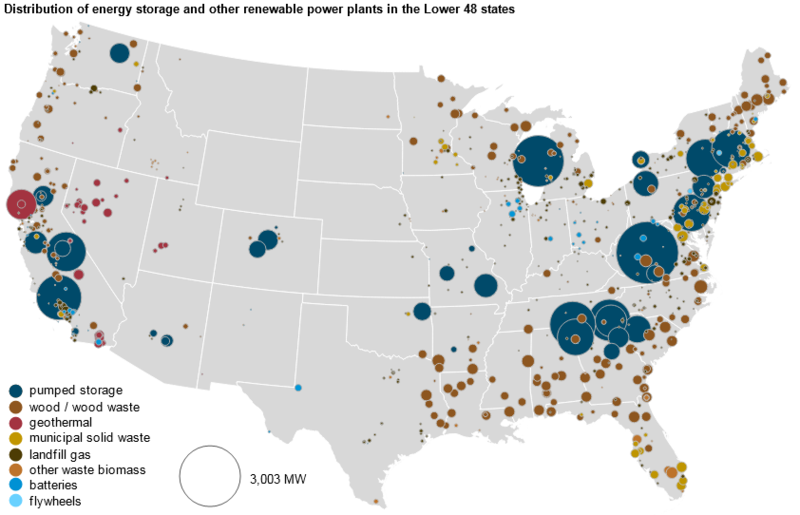 Flywheels provide electricity storage through rotational kinetic energy, and almost all of the nation’s 44 MW of utility-scale flywheels are located in New York and Pennsylvania. More detailed information about the United States fleet of electricity generators is available through EIA’s annual survey of electric generators. EIA also maintains a preliminary monthly update of operating and planned generators. 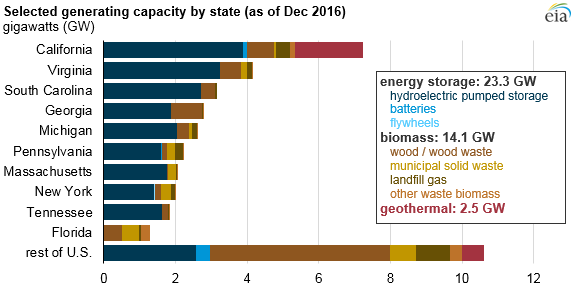 This article is part of a series of Today in Energy articles examining the fleet of utility-scale power plants in the United States. Other articles have examined hydroelectric, coal, natural gas, nuclear, wind, solar, and petroleum generators.